Spotless Punch’s Lord Sheraton range of leather and hard floor cleaning products has been given a major facelift. The range of natural cleaning products has acquired a new look more appropriate for the top end of the commercial cleaning market amid a move to “improve its relevance” to the sector. Branding and packing company Slice Design has changed the colours of the various products in the range to introduce a colour hierarchy, although the graphics have been kept the same across the range to maintain consistency. The Lord Sheraton range of cleaning products includes a variety of natural substances including eucalyptus and beeswax, which enable domestic cleaners to improve the hygiene levels of their homes without harming the environment. A recent survey conducted by Echo Research on behalf of the Soap and Detergent Association found that almost nine in ten (88 per cent) of adults questioned have strong confidence in the cleaning products they use every day. 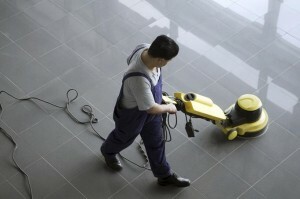 London cleaning companies offer a wide range of treatments of all hard floor surface types.